Learn more about the most important features added since the last release. How many bitmaps are loaded in this solution? How many of them are actually used and which is the biggest/smallest? Which controls/behaviors/texts are in the solution and where are they used? The HMI report is presented as a set of HTML documents, which can be customized to the users requirement. The documents are linked to one another through a navigation bar. The state machine now brings new modeling and debugging capabilities. 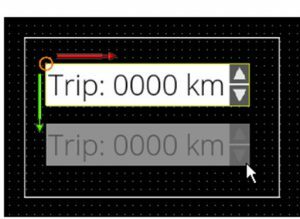 For example sub-charts, used to abstract and hide modeling details of complex states and transitions, or the possibility to inspect the active state, transition dynamics and executed actions by attaching to a running Player and opening the State Machine panel. 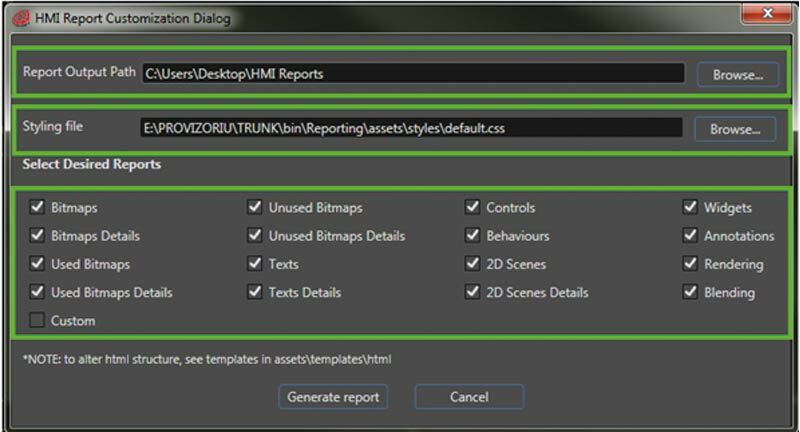 CGI Studio 3.7 provides a hierarchical navigational aid for user interfaces called Breadcrumb. 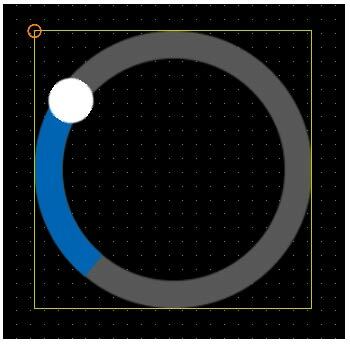 In addition to the Slider, there is now a circular version called Circular Slider. A Dial behaves similar to a physical rotary switch. CGI Studio 3.7 provides a control that allows to hide content that can be shown again when it is needed. This control is Touch Screen compatible, but can also be used with Events. The Icon Button is a new addition to the Button and TextButton. CGI Studio 3.7 provides a way to implement Particle Effects with Controls and Behaviors. There is a Showcase for different Particles Effects integrated in the 3D Effects Solution. CGI Studio 3.7 provides a Spin Box. It’a classic UI usecase for increasing or decreasing values. The CGI Player now enables you to connect via TCP/IP to the running application on the target platform. Without the need for writing a single line of control-code you are able to remotely run, control and monitor your target-application from your PC. This speeds up testing of your application massively.